Face Changer is a positive application for editing copyrighted photos. It will help you to spend your free time with fun! The developers of Scoompa promise you a lot of funny moments and positive emotions in the process of changing and editing both your photos and photos of your friends. add any labels to your images. This is not the whole list of features of the application Face Changer on Android. A simple and convenient interface won’t take you much time to study it, the main thing is the result. This application is a real antidepressant because you will get a lot of pleasure from using it! You can save the pictures on the SD card of your device or send the image to your friends. Imagine how they will be “happy” after receiving such a gift! So wait for something like that in return! Face Changer reserves are endless and you can endlessly invent new and new images. Unlike other analogs, the program was created to bring joy. If you are tired of serious applications for applying filters to your face, then it’s time to try to download Face Warp on Android. Take a picture on the front camera, open it in the application and change your face in such a way that it will be hard to recognize. All manipulations are performed through special filters that can transform a certain part of the body. One of these enlarges the eyes to an incredible size that makes you look like the eponymous Puss in Boots from the Shrek cartoon. One of the nice bonuses is the ability to record video with active filters. Thus, you are able to create a hilarious sketch, save it and put it on display in one of the social networks or video hosting. It’s important to remember that faces will not be transformed if the angle of the camera is somewhere to the side. The lens should always be aimed directly at the face, facing the user. The application hasn’t got unnecessary controls. To understand all the functions and create your first job, it will be enough to spend a few minutes. 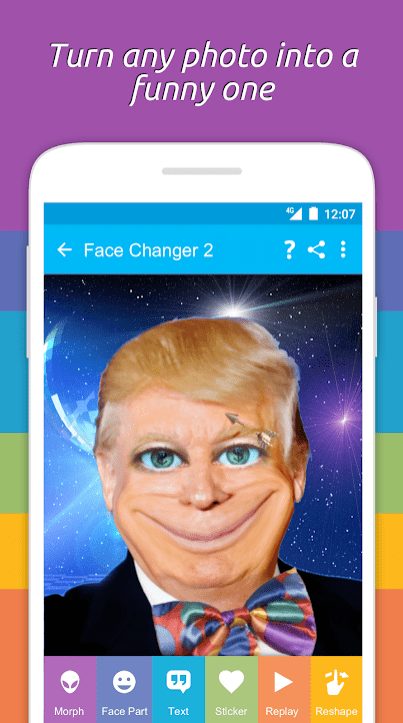 Face Changer 2 is an interesting application for smartphones and tablets running Android, which was created to entertain children and adults. The main task of the application is to create an interesting photo with your funny face, which can later be shown to your friends and relatives. Face Changer 2 can create very funny caricatures from your photos which you can post on any social network: Instagram, Twitter, Facebook or even Google+. Face Changer 2 can swap parts of the body, but this isn’t the main function of the application. And the main thing is that it can replace your body parts with other cartoon parts of the body. For example, you can change your glasses, attach funny big eyes, and also attach tattoos and even strange scars to your body. The application even has the ability to change the faces of two people in the photo. Such a similar function is in MSQRD, but in this application, this feature is also well developed. The application has many different functions. The new application added a convenient and intuitive interface that will be understandable even to a child. More than 600 stickers that will fit any photo. Funny Photo Editor is a photo editing tool for Android phones that enlarges faces and makes them funny. Download the app and enjoy comic images right now! The program allows you to edit photos and change photos of your friends. Add funny stickers, try on different masks, use funny frames and so on. You can save pictures, send them by email and share them on social networks. Here you can always download an unlimited number of stickers. You can also create funny and animated videos with your photos. Add funny stickers, create gifs and share them. The utility includes a variety of animated stickers that will make your video clip very fun. The editor presents new features. You can create funny and comedy faces with live front and back cameras, as well as scale different parts of the face, change the brightness, colors, and saturation. The application has a clear interface and all its features are completely free! This video editor won’t improve video quality. It will help to create funny videos with your friends. You upload a photo, and you can make it talk or wink. You can install various parts of the body on the photo that will look ridiculous and funny, so if you want to please yourself and your friends, download this program, because it is completely free! So, become the author of the funniest animated photos, especially since it’s very simple. First, you must select a new mouth for the character. By the way, any person can become the hero of your work, a friend’s photo or even your own photo will come in handy. Self-irony is a good thing! Face Changer Video has a huge number of stickers, including mouths. Choose the funniest lips in your opinion and simply set them onto the picture by simple dragging. Then the eyes, there is a rich assortment. Don’t forget that you have an animated application in front of you, so all the elements here are “moving” as if they were alive. There are plenty of effects, for example, you can hit the head with a hammer or make bulging eyes. In any case, it will be funny and unusual. Face Changer Video tool differs from others not only by the animation of the image but also by the ability to add different sounds! Attention, right in the application, you can change your voice to something funny! Experiment with your photos or pictures of your friends, share jokes, send them through social networks. Developers for their part guarantee interesting fun pastime and good mood! With this program, you can easily change your face in the picture. You can use the face of any animal, in addition, you can replace parts of the face. For example, replace your nose with a dog’s nose, eyes with cat’s eyes or add a parrot beak. The interface of Insta Face Changer Pro is quite simple, you just need to choose your photo from the gallery, or take a new photo, then the program will mark the places where parts of the face will be replaced (nose, mouth, eyes). In addition, the program has advanced settings for morphing, which allows you to manually adjust the settings for the replacement, the color gamut of the photo, as well as add various effects and filters. The program itself includes more than 50 animal presets and about 6 types of facial transformations, as well as a large set of various functions for image processing. With Insta Face Changer Pro your photos will become even more interesting and unique. The MixBooth application can amuse you and your company. This is a very fun program that will not leave you indifferent. This fun program connects 2 faces into one, thus making a very funny “hybrid”. In order to cheer yourself up you only need to take 2 photos and press a couple of buttons in the program, then it will do everything for you. This developer has already created several similar applications that people have already loved. Mixes made by the program can be saved in the gallery or shared with friends on Twitter or Facebook. The application interface is very simple and intuitive. 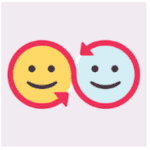 After uploading photos, you’ll have to wait just a few seconds, and you’ll get a funny mix of two faces. By the way, you can mix the faces of your friends with celebrities’ faces, and the result of such mixing can be surprising, and sometimes simply stunning. In general, this application is the best program designed to raise the mood. Everything works in real time, using a usual device camera. The application automatically recognizes faces and changes their places. Also, Face Swap Live on Android is able to identify photographs of people, in other words, even if you are all alone, the mobile program won’t be useless anyway. It’s enough to take any picture, magazine or photo in a frame, and you will see what happens. You can also use any image or video from the Web, a snapshot of a celebrity, a movie hero, celebrity. In general, with this tool, you will never be bored, even if your friends are busy with important things and are far away. After shooting you will be asked to save a photo or instantly send it to social networks. The application does an excellent job of recognizing any faces – men, women, children. It works wonderfully with images from the Internet, but the only thing the mobile program doesn’t know is to recognize animal faces. So, unfortunately, the tool will not work with pets. Selfie fans will be able to entertain themselves along with a huge range of live stickers and special effects. Be sure to try the Sweet Snap application and use your selfie camera to achieve high-quality selfies. Thanks to the existing moving stickers, it will be possible to create amazing creations that will look both funny and cute. Create a real selfie masterpiece that your friends cannot repeat and share. They will certainly appreciate your humor. Change your face right on the selfie or go to the editor, after the photo is taken. There you can add the maximum number of effects. Together with this powerful application you can try yourself as a cool clown or cute kitten. Everything will become more accessible if you download Sweet Snap on your phone. A lot of animals, characters from cartoons and many other things will be available here. Make your eyes brighter, apply tears or animation. More than 1000 effects are available for free. You will no longer need to use a bunch of applications for all this because everything will be available in one. Do it all in real time. It will even be possible to swap faces with a partner. Steadily once a week, developers add completely new stickers that fit the future holiday. Set for yourself the Christmas atmosphere and congratulate your friends in this way. Face Camera will help each user of a mobile gadget to create positive photos. The application contains many cinematic stickers, sorted by topic, for example, animals, cartoons, cinema. By choosing any of them, you can become a cute kitten or a funny clown. Now you don’t need to paint the horns with a pen on the photo, just install a colorful sticker and admire the finished result. Stickers can cheer and interest a person of any group, age or race. Everyone will find a suitable fun design for his photo. Every week, the team of designers and developers adds more and more new stickers. So don’t forget to update the application in time, so as not to miss all the most interesting. The camera of the mobile device is automatically detected by the application, that is, it doesn’t require additional settings. Using the application Face Camera on Android, in addition to photos, you can take video clips using Motion stickers and other effects for video. Share your positive unique ready-made videos with your friends via popular social networks. A simple interface doesn’t take you much time to learn. This isn’t the whole list of features of Face Camera on Android. Developers are constantly updating the program, and in the near future, its functionality will only expand. Already thousands of users have appreciated all the advantages of this application. Try it too! What could be more interesting than a selfie? Only video selfie. Not just video selfie, but made with a funny and cute mask. 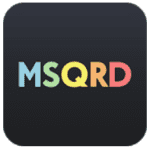 And an excellent application will help the user in this – download MSQRD to Android for free. This application, using the camera built into the phone, allows you to scan a face and impose a mask of a celebrity or some creature on it, including an animal. A mask looks so natural, so there will be no problem with the fact that the face looks unnatural. Also, this mask will repeat all the facial features of a person, moving exactly as they are. Therefore, even rotating your head on a selfie video will look extremely interesting and fun. The application is still under development and interesting and cute masks are being added. And even now, a modest set of masks is enough to entertain yourself and friends with funny videos. So, at the moment, in the MSQRD application for Android, such masks are already available: the macaque, gorilla, bologna, tiger, Barack Obama, Conchita Wurst, Tony Stark, Borat, Donald Trump, and many other masks. Also, the MSQRD program allows you to directly connect with social networks such as Facebook and Instagram, instantly uploading new photos there. The application is developing very quickly. Constantly new interesting masks are loaded. Try them on your face or the faces of friends. Photo Warp is a very interesting application for Android, thanks to which absolutely any user can become a professional plastic surgeon in one second. Thanks to this application, it’s possible to significantly change a figure for yourself or any person in a few seconds, separate unnecessary parts, or vice versa add them. Maybe someone needs to correct facial features, and someone to paint on a smile, somewhere to add eyebrows and so on. Someone wants to see himself thinner, and on the contrary, someone wants to add a couple of kilograms. With all this, this wonderful application will help. Download Photo Warp for Android and start creating. With this program, you can have fun with your friends by adding a couple of dozen kilograms to them or by distorting your face. A free application makes it possible to become almost the best plastic surgeon in the world! To change a photo, you need to take a selfie or download it from the album to the application. Open a photo in the program and start editing it. The application has its own funny images that can be edited. Practice on them, and then edit your own. Use scaling for more accurate editing. You can apply various cool photo effects, changing the form of the face, bending legs, stretching arms. There are a lot of opportunities and tools. In the application, any deformations with the body can be turned into an animation by making a full-fledged gif. All edited photos and images can be saved in high resolution. Now, few people will be surprised by the standard photographs from the front camera. Therefore, it’s time for changes and unusual photos with the addition of funny filters that will be appreciated not only by your friends but also by random people who saw your profile in one of the social networks. What is needed for this? Everything is simple – download Face Live Camera on Android. Set your favorite filter, take a photo, immediately correct it, put it on a general review, collect a large number of likes and lift the mood of your friends. It isn’t even necessary to take new photos as you can change one of the existing ones. Ever wanted to find out how the ears of a dog, horns or cat’s face would look on you? Launch a special filter, turn on the camera and start, work wonders! The advanced editor of the application allows you to add popular smilies to a photo, thereby creating an unusual picture, which will be appreciated by all who love novelty. Take a photo with your pets and add fun filters to their faces! What could be funnier than a dog with a cartoon dog face? If you decide to download Face Live Camera, you will receive a unique editor not only for photos but also for videos. Did you take your travels with friends in one of the local shopping centers? Add emoticons there, transform faces and show them to the whole world. An unusual photo editor, which will appeal to all fans of unusual photos. A huge number of filters to change the face. It’s possible to edit not only photos but also videos. Share photos in one of the social networks.